SAI EXPORT AND IMPORT was established by Mr. SAI GADE in 2014, with a vision to create a revolutionary change in the world of LED Display Screens. Initially, there was less number of manufacturers for LED display screens in India. So he did research on nearby suppliers in different cities like Pune, Mumbai, Gujarat, Delhi etc and inquired for the screens. But at that time, suppliers were selling the screens only on the behalf of size and their market value. No technical specifications about the screens, Led chips and other materials were given to the customers by the vendors. However, in 2014-15 DIP (Dual In-Line Package) was used during those days for LED screens. But he decided to use the upcoming advanced technology of HD SMD LED screens to maintain its quality. In order to study the details, he decided to import a complete screen from china. Later on this was the first screen installed at Baramati in the name of “Sai Export and Import”. 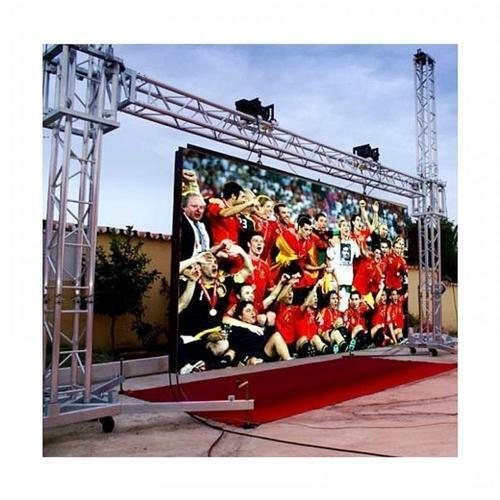 After that Mr. Sai started to import raw materials and other necessary parts form international markets and designed his own HD LED display screen. For support, he had Mr. KAPIL PHATALE one of the dynamic personalities, with great knowledge of software and hardware programming and Mr. PRADEEP SHETE (Electrical Engineer with more than 30 years of experience in the industry). It took almost 7-8 days for him to complete the hardware and software programming for the first screen. This was the first screen designed by SAI EXPORT AND IMPORT and integrated at Ranjangaon, Pune. Thus, Sai Export & Import was the first company to sell HD SMD LED screen in Pune area. The organization almost sold 99.5% HD SMD LED Screens and only 0.5% DIP LED Screens till now to meet customer satisfaction. On today’s date, more than 600 screens and over 1,00,000 sq.ft of HD LED screens have been successfully delivered and installed across India from Andaman to Jammu-Kashmir.